Project Gemini was the second human spaceflight program of NASA, the civilian space agency of the United States government. Project Gemini was conducted between Projects Mercury and Apollo, with ten manned flights occurring in 1965 and 1966. 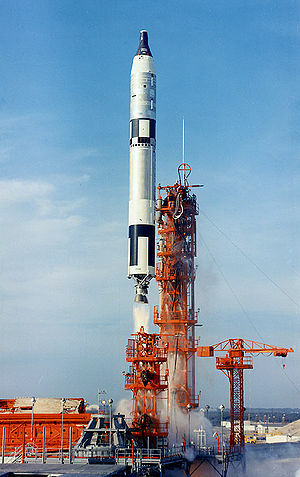 Its objective was to develop techniques for advanced space travel, notably those necessary for Apollo, whose objective was to land humans on the Moon. 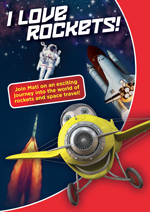 Gemini missions included missions long enough for a trip to the Moon and back, the first American spacewalks, and new orbital maneuvers including rendezvous and docking. All manned Gemini flights were launched from Cape Canaveral, Florida atop Titan II GLV boosters. Gemini's primary difference from Mercury was that the earlier spacecraft had all systems other than the reentry rockets situated within the capsule, most of which were accessed through the astronaut's hatchway. In contrast, Gemini housed power, propulsion, and life support systems in a detachable Equipment Module located behind the Reentry Module, which made it similar to the Apollo Command/Service Module design. Many components in the capsule itself were reachable through their own small access doors. The original intention was for Gemini to land on solid ground instead of at sea, using a Rogallo wing paraglider rather than a parachute, with the crew seated upright controlling the forward motion of the craft. To facilitate this, the paraglider did not attach just to the nose of the craft, but to an additional attachment point for balance near the heat shield. This cord was covered by a strip of metal which ran between the twin hatches. However, this design was ultimately dropped, and parachutes were used to make a sea landing as in Project Mercury. However, the capsule was suspended at an angle closer to horizontal, so that a side of the heat shield contacted the water first. This eliminated the need for the landing bag cushion used in the Mercury capsule. Early short-duration missions had their electrical power supplied by batteries; later endurance missions used the first fuel cells in manned spacecraft. The "Gemini" designation comes from the fact that each spacecraft held two crewmen, as "gemini" in Latin means "twins". Gemini is also the name of the third constellation of the Zodiac and its twin stars, Castor and Pollux. Unlike Mercury, which could only change its orientation in space, the Gemini spacecraft could translate in all six directions, and alter its orbit. It was designed to dock with the Agena Target Vehicle, which had its own large rocket engine which was used to perform large orbital changes. Gemini was the first American manned spacecraft to include an onboard computer, the Gemini Guidance Computer, to facilitate management and control of mission maneuvers. It was also unlike other NASA craft in that it used ejection seats, in-flight radar and an artificial horizon-devices borrowed from the aviation industry. Using ejection seats to propel astronauts to safety was first employed by the Soviet Union in the Vostok craft manned by cosmonaut Yuri Gagarin. The Gemini program cost $5.4 billion. 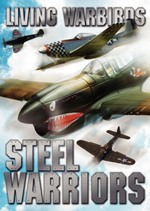 Gemini was designed by a Canadian, Jim Chamberlin, formerly the chief aerodynamicist on the Avro Arrow fighter interceptor program with Avro Canada. Chamberlin joined NASA along with 25 senior Avro engineers after cancellation of the Arrow program, and became head of the U.S. Space Task Group’s engineering division in charge of Gemini. The prime contractor was McDonnell Aircraft, which had also been the prime contractor for the Mercury capsule. In addition, astronaut Gus Grissom was heavily involved in the development and design of the Gemini spacecraft. He writes in his posthumous 1968 book Gemini! that the realization of Project Mercury's end and the unlikelihood of his having another flight in that program prompted him to focus all of his efforts on the upcoming Gemini Program. The Gemini program was managed by the Manned Spacecraft Center, Houston, Texas, under direction of the Office of Manned Space Flight, NASA Headquarters, Washington, D.C, Dr. George E. Mueller, Associate Administrator of NASA for Manned Space Flight, served as acting director of the Gemini program. William C. Schneider, Deputy Director of Manned Space Flight for Mission Operations, served as mission director on all Gemini flights beginning with Gemini VI. Guenther Wendt was a McDonnell engineer who supervised launch preparations for both the Mercury and Gemini programs. His team was responsible for completion of the complex pad close-out procedures just prior to spacecraft launch, and he personally closed the hatches before flight. The astronauts appreciated his taking absolute authority over, and responsibility for, the condition of the spacecraft and developed a good-humored rapport with him. In late 1963, Slayton selected Shepard and Stafford for Gemini 3, McDivitt and White for Gemini 4, and Schirra and Young for Gemini 5 (which was to be the first Agena rendezvous mission). Backup crew for Gemini 3 was Grissom and Borman, who were also slated for Gemini 6, to be the first long-duration mission. Finally Conrad and Lovell were assigned as backup crew for Gemini 4. Delays in the production of the Agena Target Vehicle caused the first rearrangement of the crew rotation. The Schirra and Young mission was bumped to Gemini 6 and they now were the backup crew for Shepard and Stafford. Grissom and Borman now had their long-duration mission assigned to Gemini 5. The second rearrangement occurred when Shepard developed M�nix�re's disease, an inner ear problem. Grissom was then moved to command Gemini 3. Slayton felt that Young was a better personality match with Grissom and switched Stafford and Young. Finally, Slayton tapped Cooper to command the long-duration Gemini 5. Again for reasons of compatibility, he moved Conrad from backup commander of Gemini 4 to pilot of Gemini 5, and Borman to backup command of Gemini 4. Finally he assigned Armstrong and Elliot See to be the backup crew for Gemini 5. The third rearrangement of crew assignment occurred when Slayton felt that See wasn't up to the physical demands of EVA on Gemini 8. He reassigned See to be the prime commander of Gemini 9 and put Scott as pilot of Gemini 8 and Charles Bassett as the pilot of Gemini 9. 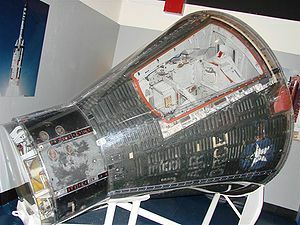 The fourth and final rearrangement of the Gemini crew assignment occurred after the deaths of See and Bassett when their trainer jet crashed, ironically into a McDonnell building which held their Gemini 9 capsule in St. Louis. The backup crew of Stafford and Cernan was then moved up to the new prime crew of the re-designated Gemini 9A. Lovell and Aldrin were moved from being the backup crew of Gemini 10 to be the backup crew of Gemini 9. This cleared the way through the crew rotation for Lovell and Aldrin to become the prime crew of Gemini 12. Along with the deaths of Grissom, White, and Roger Chaffee in the fire of Apollo 1, this final arrangement helped determine the makeup of the first seven Apollo crews, and who would be in position for a chance to be the first to walk on the Moon. 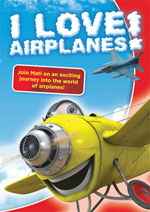 In his autobiography Deke! Slayton relates that he would probably have replaced Aldrin with Cernan, the backup pilot for Gemini 12, on Apollo 11 if the second use of the Astronaut Maneuvering Unit (AMU) had been on Gemini 12. (The first use was by Cernan on Gemini IX-A.) Cernan makes a similar claim in his autobiography. Schirra commanded Gemini 6 and Apollo 7. Borman and Lovell flew together on Gemini 7 and Apollo 8. David Scott flew on Gemini 8 and Apollo 9. Stafford and Cernan flew together on Gemini 9A and Apollo 10. Collins flew on Gemini 10 and Apollo 11. Conrad and Gordon flew together on Gemini 11 and Apollo 12. Lovell commanded Gemini 12 and Apollo 13. There were 12 Gemini flights, including two unmanned flight tests. 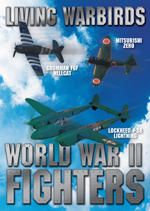 All were launched by Titan II rockets. The Gemini-Titan launch vehicles, like the Mercury-Atlas vehicles before them, were ordered by NASA through the U. S. Air Force and were in reality missiles. 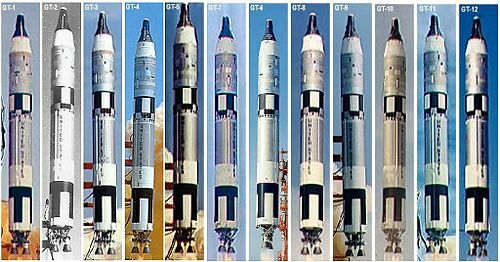 The Gemini-Titan II rockets were assigned U.S. Air Force serial numbers, which were painted in four places on each Titan II (on opposite sides on each of the first and second stages). U.S. Air Force crews maintained Launch Complex 19 and prepared and launched all of the Gemini-Titan II launch vehicles. Picture - Gemini 6A launch. USAF serial number location on Titan II. The USAF serial numbers assigned to the Gemini-Titan launch vehicles are given in the tables above. 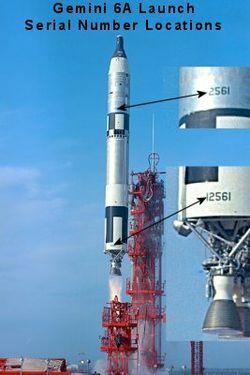 Fifteen Titan IIs were ordered in 1962 so the serial is "62-12XXX", but only "12XXX" is painted on the Titan II. The order for the last three of the 15 launch vehicles was cancelled on July 40, 1964, and they were never built. Serial numbers were, however, assigned to them prospectively: 12568 - GLV-13; 12569 - GLV-14; and 12570 - GLV-15. Air Force Space & Missile Museum, Cape Canaveral Air Force Station, Fla.
Grissom Memorial, Spring Mill State Park, Mitchell, Ind. Picture - All Gemini Launches from GT-1 through GT-12. Oklahoma History Center, Oklahoma City, Okla.
Steven F. Udvar-Hazy Center, Chantilly, Va.
Kennedy Space Center, NASA, Cape Canaveral, Fla.
Kansas Cosmosphere and Space Center, Hutchinson, Kan.
California Museum of Science and Industry, Los Angeles, Calif.
Gemini 3A -	St. Louis Science Center, St. Louis, Mo. Gemini Trainer - U.S. Space & Rocket Center, Huntsville, Ala.
Gemini Trainer - Goddard Space Flight Center (Visitor Center), NASA, Greenbelt, Md. Gemini Trainer - Louisville Science Center, Louisville, Ken. El Kabong - Kalamazoo Air Museum, Kalamazoo, Mich.
Gemini Trainer - Kalamazoo Air Museum, Kalamazoo, Mich.
MSC 313 - Private residence, San Jose, Calif.
Rogallo Test Vehicle - White Sands Space Harbor, White Sands, N. M.
TTV-1 - Stephen F. Udvar-Hazy Center, Chantilly, Va.
unnamed - U.S. Air Force Space Museum, Cape Canaveral Air Force Station, Fla.
Gemini Trainer - BDL Aerospace and Flight Museum, NAS Whidbey Island, Oak Harbor, Wash.
Trainer - U.S. Astronaut Hall of Fame, Titusville, Fla.
MSC-307 - USS Hornet Museum, Alameda, Calif.
McDonnell Aircraft was one of the original bidders on the prime contract for Apollo, but lost out to North American Aviation. McDonnell later sought to extend the Gemini program by proposing a derivative which could be used to fly a cislunar mission and even achieve a manned lunar landing earlier and at less cost than Apollo, but these proposals were rejected by NASA. The United States Air Force had an interest in the system, and decided to use its own modification of the spacecraft as the crew vehicle for the Manned Orbital Laboratory. To this end, one of the unmanned Gemini spacecraft was refurbished and flown again atop a mockup of the MOL, sent into space by a Titan III-M. This was the first time a spacecraft went into space twice. The USAF also had the notion of adapting the Gemini spacecraft for military applications, such as crude observation of the ground (no specialized reconnaissance camera could be carried) and practicing making rendezvous with suspicious satellites. This project was called Blue Gemini. The US Air Force did not like the fact that Gemini would have to be recovered by the US Navy, so they intended for Blue Gemini eventually to use the paraglider and land on three skids, something from the original design of Gemini. At first some within NASA welcomed sharing of the cost with the USAF, but it was later agreed that NASA was better off operating Project Gemini by itself. MOL was cancelled in 1968 and Blue Gemini too was cancelled without any use by military astronauts. 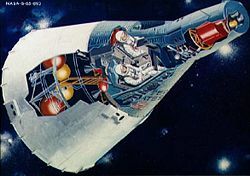 Other Gemini derivatives were proposed, including Big Gemini, Gemini LOR, Gemini Lunar Lander, Gemini-Centaur, Gemini Ferry, Gemini Transport, Gemini - Saturn I, Gemini - Saturn IB, Gemini - Saturn V, Gemini Pecan, Extended Mission Gemini, Gemini - Double Transtage, Gemini Satellite Inspector, Gemini Lunar Surface Rescue Spacecraft, Gemini Observatory, Gemini Para glider, Rescue Gemini, Winged Gemini, Gemini LORV and Gemini Lunar Surface Survival Shelter. Project Gemini Pictures and Project Gemini for Sale.